Sarasota Home Care Services are family owned & operated. We're built on the foundation of honesty, integrity and quality work in every service we provide. We take pride in a "Job Well Done" to ensure a return customer in the future." “One Call for all your home care” needs means just that! We can handle any project you throw our direction! No job is too small or too large. SHCS is fully licensed, insured and bonded which allows our clients to have absolute confidence in a job well done the fist time, every time! Handyman Services and so much more! Servicing all of Sarasota and Manatee Counties. 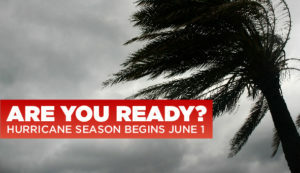 Hurricane Season Begins the first of June! Be prepared, be proactive, stay safe! Click below to see how you can have 100% coverage in the event of a storm coming into the grid before its too late! Call today for a FREE ESTIMATE or send us a message!